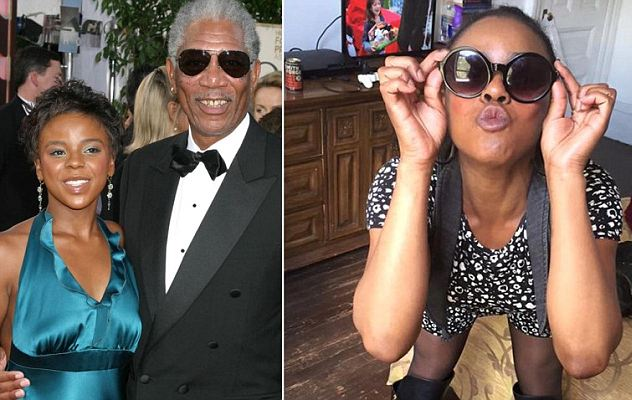 Morgan Freeman's step-granddaughter ,33 year old E'Dena Hines was stabbed to death on a Manhattan street early this morning. When police arrived at the scene they found Hines unresponsive with stab wounds to her torso outside a building in the Washington Heights area of New York City . Her ex-boyfriend was allegedly standing over her body screaming and the knife was recovered at the scene. Hines is the granddaughter of Freeman's first wife Jeanette Adair Bradshaw. Her 30 year old ex was arrested after being found kneeling over Hines. He was taken to Columbia Presbyterian Medical Center and is currently undergoing psychiatric evaluation.